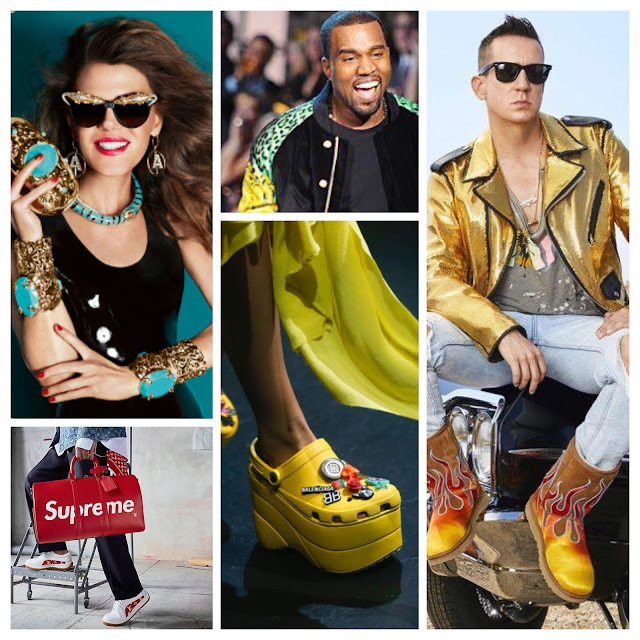 With Jeremy Scott at the helm, Moschino has gone from Italian fashion's neglected step child to one of fashion week's most talked about shows; and one of the decade's most divisive brands. Love it or loathe it, Moschino receives column inches other brands can only dream of and its divisiveness only adds to the much-hyped conversation. Better that people have a strong opinion, positive or otherwise, than no opinion at all. Right? Providing his signature feeling of fantasy and irreverent escapism, Scott stuck true to his outlandish aesthetic whilst continuing to segue smoothly away from the "mock brand logos" of seasons past. In a time of austerity, corrupt governments, frequent terror attacks (and not mention a less-than-ideal US presidential race) the world is crying out to be swept away into another world. A world far less conservative and far more optimistic. 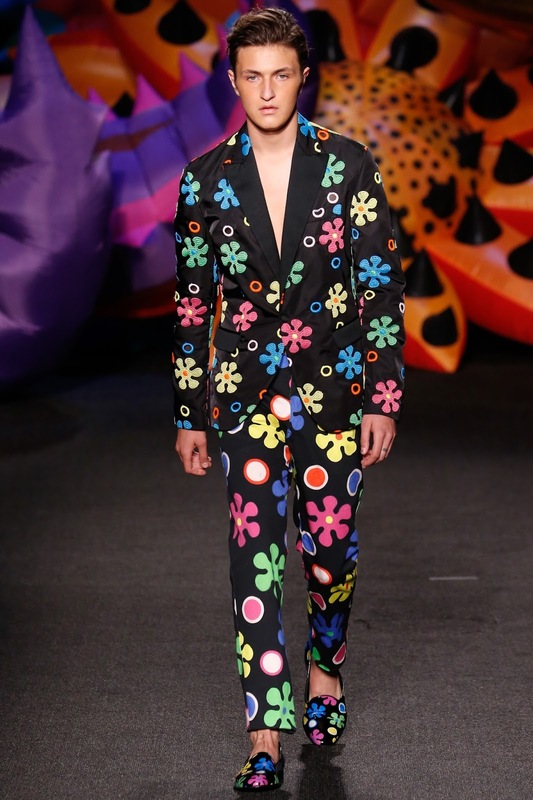 Moschino answers the call with a smorgasbord of 70s influences, arguably a simpler time, a time when peace and love reigned supreme. 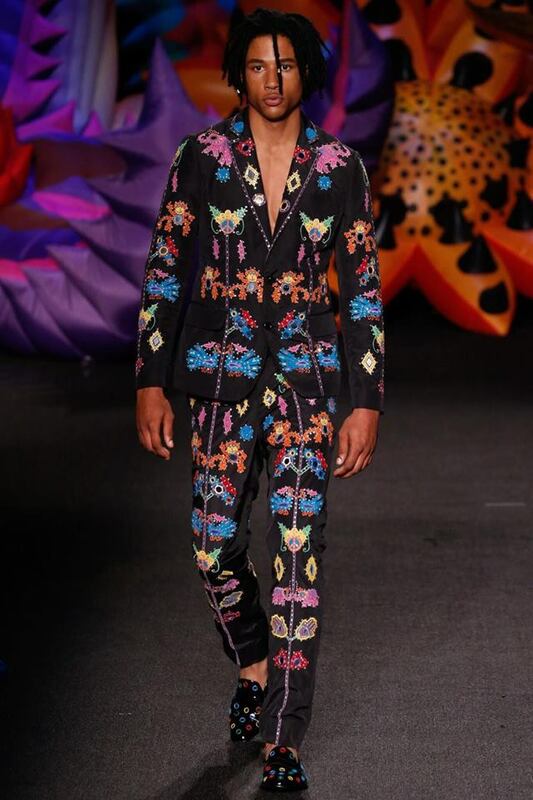 Was this Moschino metaphorically placing a flower into the world's army tank cannon? Is this collection a call for world peace? Maybe I'm looking into far too much. To master this trend, think 70s, think hippies, think Woodstock, Jane Fonda, Cher, John & Yoko. Now place all of that on a Macchu Picchu trail through isolated villages of far away tribes. No, really. Once again showing menswear and womenswear in one clear, cohesive vision, the collection is unashamedly patterned, embellished and floral. Dense but resplendent fabrics, chunky-looking woven jackets are juxtaposed with flowing silk shorts and kaleidoscopic speedos. These contradictions modernise and elevate the look from being fancy dress, to being a nuance in a luxury context. The womenswear story channelled an acidic Stevie Nicks and Ugly Betty via Missoni and Isabel Marant. 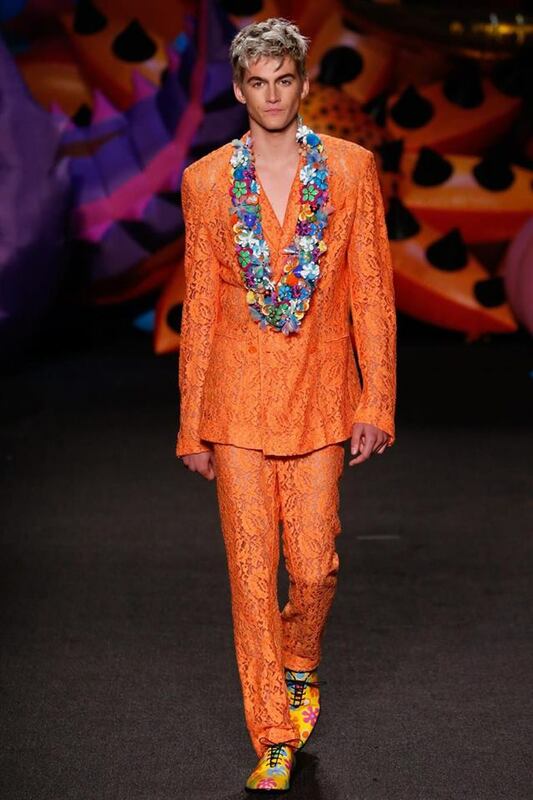 While the menswear was Malibu Ken Doll on his honeymoon in Hawaii, by way of Mayan Emperor with a hint of New Romantic. 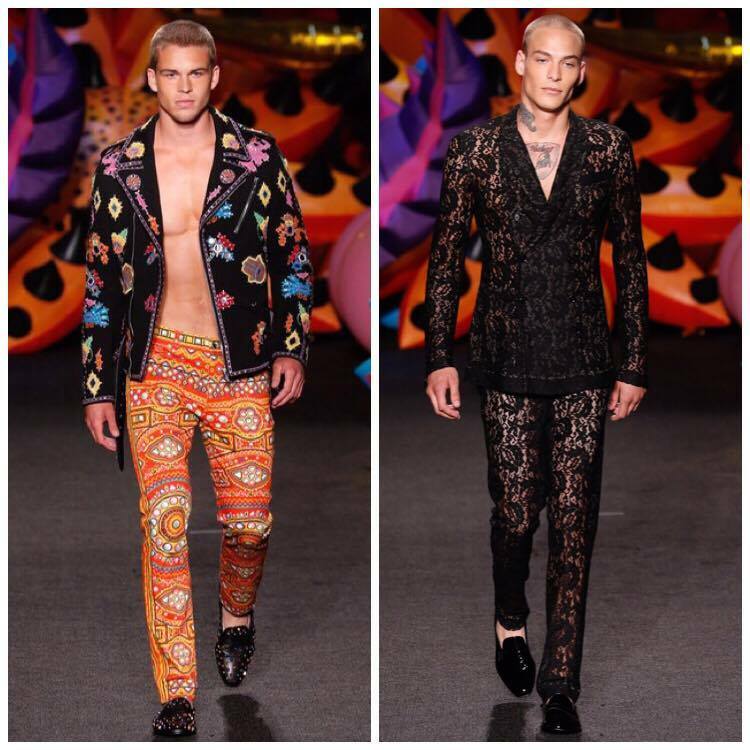 If I've said it once, I've said it a hundred times - Who says lace is just for women? Supermodel Cindy Crawford's son Presley Gerber proves lace is universal. Gerber pictured with Bella T'Challa and Anwar Hadid, brother of Gigi & Bella making his runway debut. This bright, effervescent comment on globalisation was much needed among the heavy, voluminous garments that have graced the runway this season. The world is becoming a much smaller place, designers are taking inspiration from all over and creating a bonafide fashion melting pot. This adds realism to the shows, because after all, it's how people dress - afterall, you'd be hard pressed to find someone on the street head-to-toe in one brand. 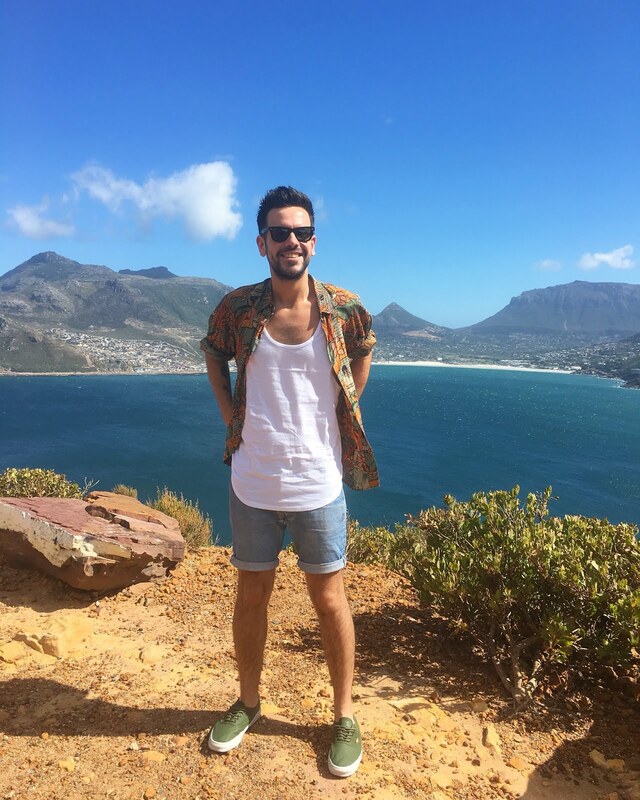 We are hunter gatherers by nature, why not apply that to our wardrobe? All images copyright of Getty Images via Vogue Runway.